Martin Delaney (left) and Charlie Condou (right). Photograph: Robert Workman. A beautifully sardonic and heart-shattering piece, written from a place of love, humanity, and anguish. Adam and Luke have been together for five years. Adam is in his 40s and an aetheists, whilst Luke, much younger, is a Christian and still in the closet to his parents. Their life has always been one of compromise where they’ve failed to reach an understanding, but tenderness in the close affinity that they can. 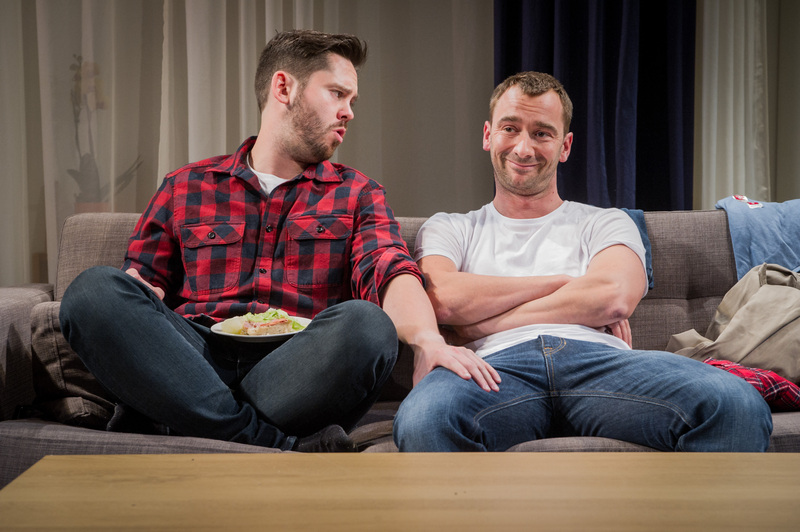 But when an accident happens to Luke, Adam Is forced to face and rely upon a family who are less than accepting of homosexuality, and have no idea who he is and what he means to Luke. Geoffrey Nauffts’ play was nominated for “Best Play” at the Tony Awards 2010, and now see’s it transfer to London four years later. One of the reasons for its success is it’s incredibly satisfying dry wit which permeates the entire piece. 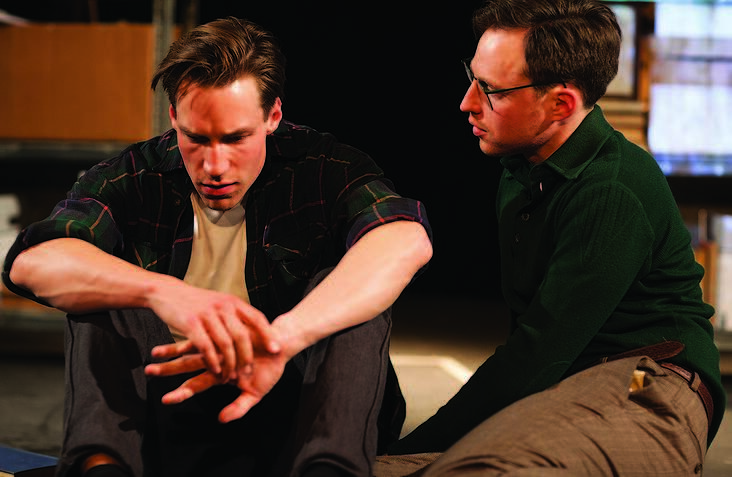 However, for those who are well versed in gay plays and other LGBT arts productions, especially issues surrounding religion vs. sexuality, there’s nothing particularly ground-breaking in the themes and arguments that many will have heard before. So whilst the humour is certainly entertaining and extremely sharp, the first act just feels a little too familiar. However, it’s in Act II that the play really comes into it’s own. Whilst Nauffts might not be offering much with regards to new point and counterpoint to the subject, it’s how he uses the characters to frame the issues discussed that is the real triumph of the play. For starters, Nauffts’ characters are all substantially flawed. You can never quite get behind Adam as a protagonist as, although long suffering, he’s more unlikeable than likeable. Likewise, Butch, the Bible-thumping alpha heterosexual patriarch, is not all he seems, causing us to think and rethink what prejudices we ourselves are judging him by. What this results in is, rather than a greying of the arguments’ clarities, Nauffts’ blurs the emotional lines on the subject. There is no distinct binary of how we should be feeling and thinking here that would otherwise serve as an simple catharsis or a shallow rally-call for an established campaign. But instead we get a difficult and challenging walkthrough of the issues where there aren’t any easy hero or villain figures. Because of this, the show, as well as being marvellously humorous, is also achingly moving. The characters feel very real and, despite their faults, you still deeply care for them. But also, the show is frustratingly realistic. You just want the characters to scream and kick-off, leaving Adam and Luke to emerge victors and live their happily-ever-after. Nauffts, however, settles for a reality. Though painful and despondent as it is, it ultimately leaves you with as much poignancy and anger as it does sore sides and wet cheeks. Mitchell Mullen (left) and Nancy Crane (right). Photograph: Courtesy of Robert Workman. The production sits very cosily in the smaller theatre space at the Southwark Playhouse but loses nothing despite the fact that it could probably have just as easily filled the main space. David Woodhead’s set wonderfully feels homely enough to be a minimalistic and sleek New York apartment, but just clinical enough to double as an unforgiving and soulless hospital waiting area: a wonderfully agile duality. 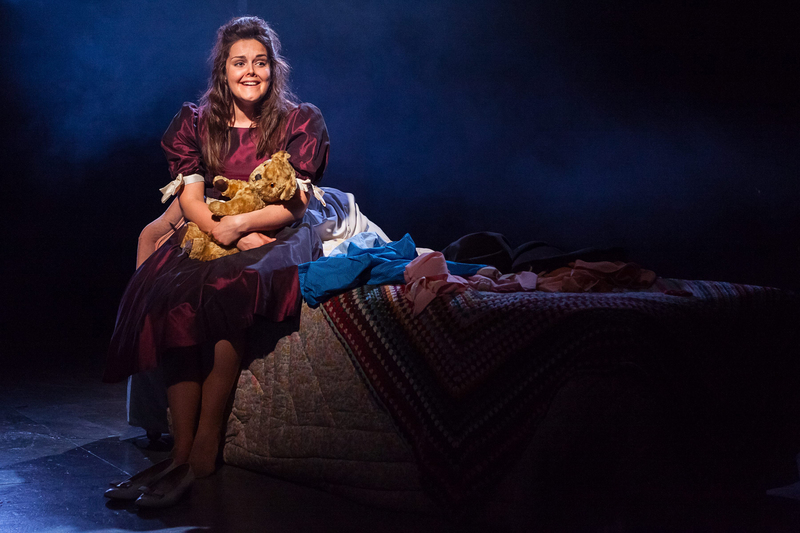 The most interesting aspect of the production, however, is how Director Luke Sheppard and lighting designer Howard Hudson work together to bring out some nice little touches. When it comes to scene changes, whilst the other cast start to move and replace props, there’s a spot that lingers on the central character of the scene, just as they do. This creates an omnipresent feeling of lingering and detachment from what’s going on, and really augments the strife that the characters go through both past and present within the story. This marks Sheppard out as a director who clearly empathises with the piece, endeavouring to give the issues and the feelings involved prominence and justice. Charlie Condou, most famous for his role in Coronation Street, is the main draw here, especially as an openly gay actor and parent. But whilst he handles himself well, it’s the rest of the cast that really deserve the praise. Condou’s on-stage counterpart, Luke, played by Martin Delaney, is adorably charismatic and carefree, playing up to his character’s youthful naivety with a wonderful sense of grace. Indeed, he’s the perfect antidote to Condou’s fretful and self-absorbed Adam, and the pair’s chemistry is the most electric when their relationships is most strained. However, they’re still still able to conjure a sweet cuteness for their happier and more intimate times together that is comfortably numbing, making all the more for a heart-wrenching tragedy. 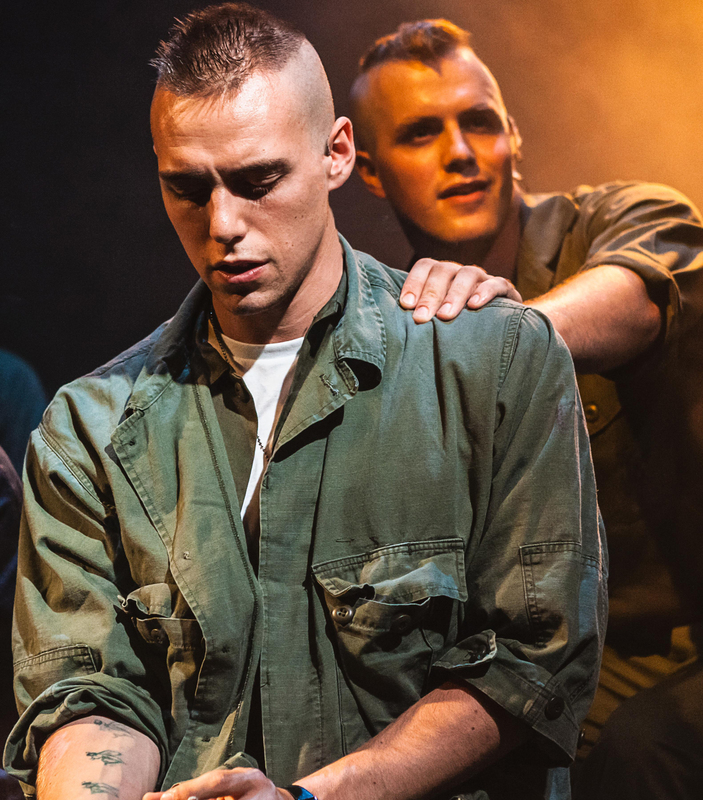 Mitchell Mullen as Butch also deserves a mention as he superbly growls and spits as Luke’s close-minded and zealot father, but letting the audience peep through chinks into something that is more scared and vulnerable rather than completely proud and despotic. Likewise, Nancy Crane’s Southern charm as Butch’s wife, Arlene, slowly cracks in a majestic and tender fashion, as a warm and repentant woman trying hard to atone and keep it together for all her past faults. Whilst the writing is of a familiar set of ideas and arguments, Nauffts’ characters and emotional framing makes for a crushing and human play. With wonderful directional flourishes, and a stunning cast, you’ll be hard pressed to fight back both laughter and tears. 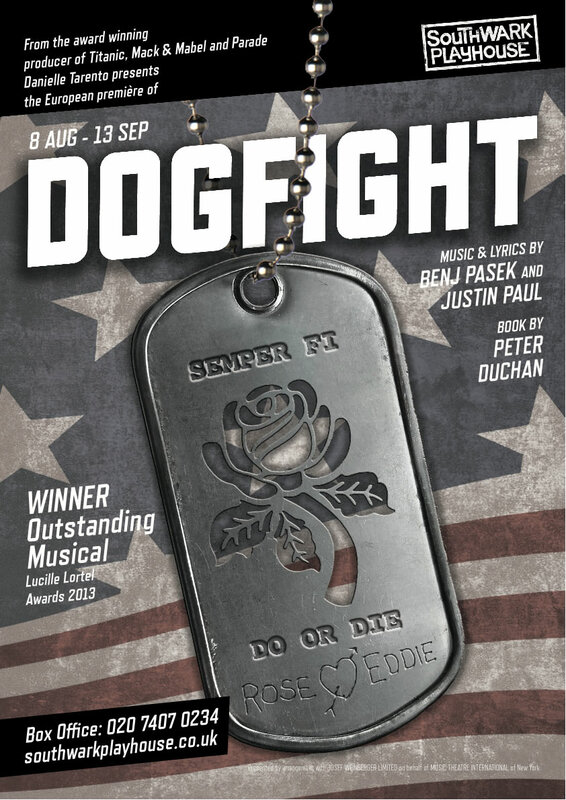 Next Fall plays at the Southwark Playhouse, London, SE1 6BD, until 25 October 2014. Tickets are £18 (concessions available). To book, visit http://southwarkplayhouse.co.uk. Jordan McCurrach (left) and Jo Herbert (right). Photograph: Ori Jones Photography. Complex, uncomfortable, and daring, this is theatre at its most intense. Anything that touches on the horrors of the Holocaust is always in danger of being too purile, shallow, or offsneive. Yet award-winning Canadian playwright, Hannah Moscovitch, has crafted a complex, daring, and unprecedented piece using an imaginative and intelligent slant on the aftermath of the concentration camps atrocities. There aren’t any shallow shocks or crude politics here, just an unexpected and unnerving look at redemption and the human condition. Rudi has grown up in Paraguay in a post-war German settlement, never knowing his father’s role in the Nazi effort. When his friend lets slip that his dad was an SS doctor experimenting on people at the camps, Rudi’s world is turned upside down causing him to flee from his family back to Berlin. But will the divided city provide the escape from his father’s past that he’s looking for? And just how fine are the lines between love, guilt, spite, and salvation? Moscovitch’s is a formidable writer, having scooped up many writing awards. Indeed, East of Berlin has toured and been performed internationally on the basis of Moscovitch’s talent. Despite the prickly subject, she approaches the narrative with a huge amount of intelligence and emotional depth. All characters here feel real, but most importantly, realistically flawed. Even as awkwardly ghastly as the play’s subject is, it feels organic and convincing, and not just some bad taste novelty. Moscovitch also knows just when, and how much, dark humour to employ, which not only lightens some of the heavier moments, but is used to explore character and issues with an inviting depth and grace. In closer details, Moscovitch’s, writing really comes to the fore in her handle of language. Throughout, there are a lot of unfinished sentences and fragmented paragraphs. It feels a little awkward at first, but you soon realise that the metre is all about embodying the small self-censures and internal lies we, and the characters alike, subconsciously make. Suddenly, you start to see the high-intelligence behind the play. All this, when crescendoing towards the play’s climax, cumulates in an absolutely overwhelming finale of shock and awe: a soul-shaking finish that is seldom pulled off so successfully in theatre. The production is also top notch with all parts of the team working incredibly well together. Holly Pigott’s set of cluttered archive shelves evoke a strange calm and clinical bleak backdrop for Rudi’s plight. There are also several little surprises hidden in the shelving’s mobility and hidden crannies. Ingeniously, these all slowly move and unravel parallel the gradual deterioration and destruction of Rudi’s life, giving the show a brilliant aesthetic intelligence alongside the writing. Blythe Stewart’s direction ensures that the text and the action buzzes unceasingly around it. Even monologues have a real sense of drive and drama despite there visually being little to concern yourself with. She makes sure that it’s the characters and their thoughts that drives the pace, as this is where the theatre of the piece truly lies. Particular note-worthy is Jasmine Robinson’s video design. Projecting directly onto the set’s shelving units, images and moving animations become distorted and broken by the unevenness of the files, boxes, and paraphernalia. These either quietly change the mood of a setting, or serve as surreal illustrations as to what’s going on. Robinson’s videos mimic Moscovitch’s use of fractured language; nothing is whole and everything has fissures which attempt to distort the truth, either aurally or visually. In short, there’s a sheer amount of thought and subtlety that runs throughout the production. This is not a play that needs resources, pomp, or razzle-dazzle to work, but merely brilliant and ingenious minds that acutely understand the text. Stewart and her team lavish the show with just this, and more. The trio of actors are all excellent. In particular, they manage to always seem to be withholding something that they’re not letting on to their counterparts or the audience, creating a pervasive sense of guilty/traumatic enigma. 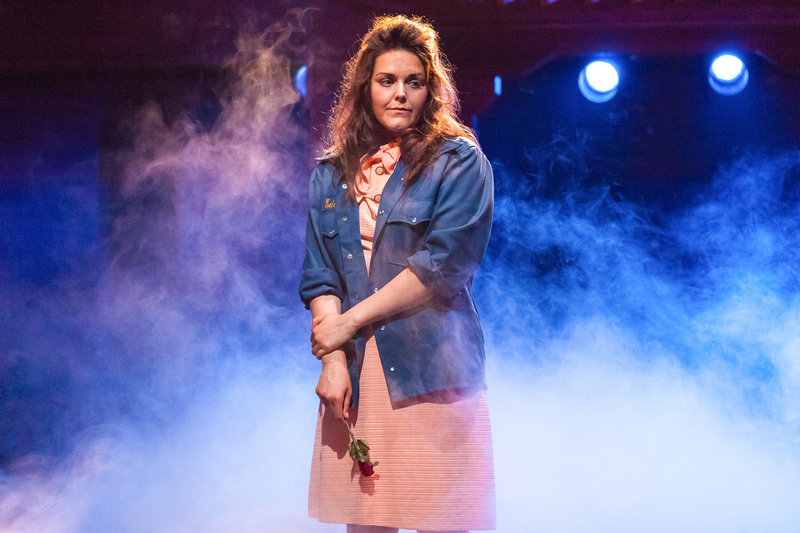 Even Jo Herbert, as Sara, as bubbly and outgoing as she is, conceals a troubled past and interfering prejudices that makes her almost as couched and distant as Rudi at times. These cumulate in emotionally tactile and visceral performances from these three excellent actors. Jordan McCurrach as Rudi, however, is particularly masterful, especially in his asides to the audience. He handles the dark humour handed to him by Moscowich with a blunt grace and dexterity perfectly suited to his character. McCurrach both endears and repels us from Rudi in equal measure, without ever making him caricature or overtly neurotic. He gives a quiet yet barnstorming performance of controlled power, revelling in the unsettling comi-tragic awkwardness of the narrative and Rudi himself. Immensely thought-provoking and incredibly intense, Moscovitch’s outstanding writing is supported by a supreme production and extraordinary cast. 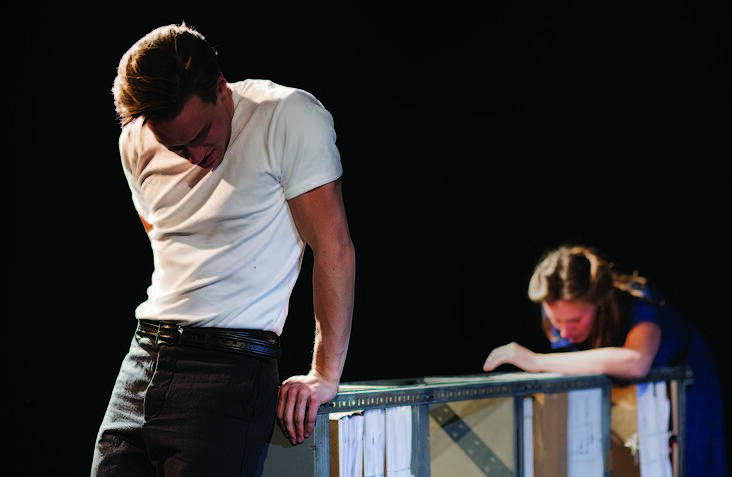 Uncomfortable and subtly shocking, it’s an extreme yet elating piece of theatre. 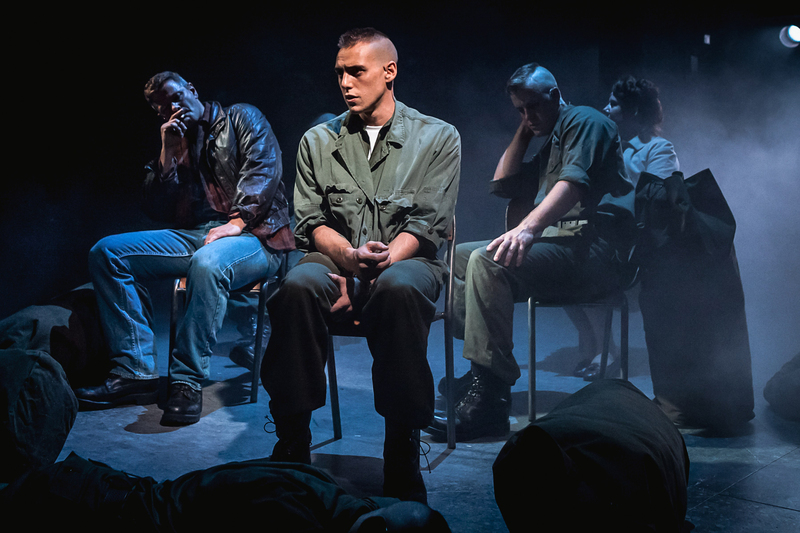 East of Berlin plays at the Southwark Playhouse, London, SE1 6BD, until 12 July 2014. Tickets are £18 (concessions available). To book, visit http://southwarkplayhouse.co.uk. All aboard! The cast of “Titanic: The Musical”. Photograph: Annabel Vere. Courtesy of Kevin Wilson PR. Forget Leonardo DiCaprio, Kate Winslet, and the Heart of the Ocean, and sail on down to the Southwark Playhouse for a truly titanic show. Even if you’re weary of “[insert popular subject here]: The Musical” type shows, this Off-West End transfer of the multi-Tony Award winning musical is a spectacle not to be missed. There aren’t any cheesy jazz hands, or French girls to be drawn, but simply 2.5 hours of a great musical finesse with some excellent production and direction from Danielle Tarento and Thom Southerland respectively, the team behind the acclaimed revivals of Parade and Victor/Victoria. Far removed from the Oscar winning movie, Peter Stone’s book and Maury Yeston’s music and lyrics use its own original narratives, imagining the stories and relationships around the lives and backgrounds of actual passengers and crew on board the fated liner. We follow them from their awe and amazement of first boarding the ship, through the frivolities of the journey, to their tragic ends. What really captivates you from the start is that Stone and Yeston focus on the dreams, aspirations, and sense of wonderment of the characters aboard more than anything. They actually feel like real people and are portrayed as delighted and blissfully unaware of what’s to come, rather than creating shallow caricatures serving only to illustrate the inevitable. In fact, the whimsy and jovial nature of the first half, and the interest the character spark, almost makes you forget where the whole thing is heading. The several storylines that we’re taken through are wonderfully heartfelt and never over-egged, making for a solid narrative with enough variety to keep you engaged. 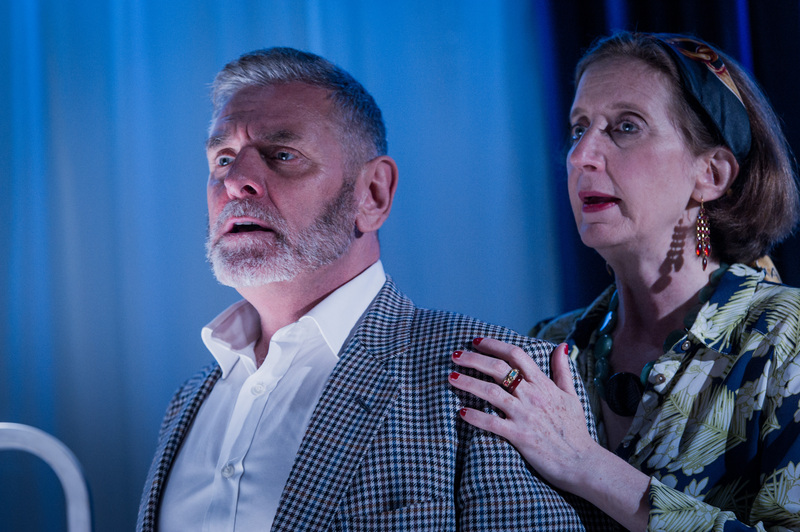 Come Act II when the characters are faced with catastrophe, the timbre turns to fraught drama which Yeston’s music embodies fantastically, driving the action as confidently as it did in the first half and with just as much panache and power. There are very few moments where you switch off from what’s going on, and you’re with the musical throughout its entirety. Tarento and Southerland, who have consistently proven to be a formidable duo, have tackled this London transfer with an understanding, ingenuity, and creativity that matches the calibre of the material. In making significant reductions to the original version – compacting the cast from 38 to 20, and a full orchestra arranged down to a piano quintet and percussion by Ian Weinberger – they have managed to loose nothing. Everything about this production is meticulous, from Southerland’s use of space and movement, to the overall polish from Tarento; it all looks fantastic. David Woodhead’s stark two-tier set of steel panels and an upper deck, when combined with Howard Hudson’s lighting design, has a slick but simple allure and is beyond adequate for providing a space for the action and imagination. Southerland also makes effective use of the two tiers throughout, conveying the separation of the social classes on board, or simply using the height of the set to augment a sense of drama. Even with all 20 actors on stage, a huge cast for a relatively modest venue, Southerland manages to never make it feel cramped, and also orchestrates clockwork but bustling crowds with ease, peppered with some graceful bits of dance and physical theatre. The cast are incredibly strong too, and it’s almost impossible to pick out any outstanding individual actors. They’re all dynamic, energetic, and wonderfully talented; never being over maudlin, and finding sweet and charming moments between them. Especially notable is the heart-warming rapport between Dudley Rogers and Judith Street as Isidor and Ida Strauss respectively. Also, James Hune is incredibly charismatic and flamboyant as the head of hospitality, Etches, the charming and well spoken underdog who holds everything together. 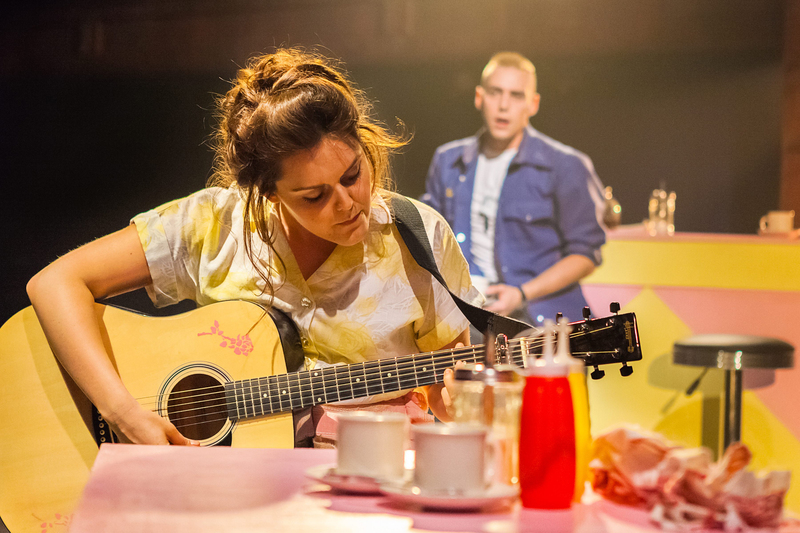 As a chorus, with the volume and clarity in their combined voices, it’s a wonder the Southwark Playhouse’s new venue didn’t fall apart under their thunderous and tremendous sound, which alone could have probably sunk the ship itself. The tutti numbers are an absolute knockout. But as outstanding as this show is, alas, it’s not perfect. As much as for the most part Yeston’s music is an ethereal stream of consciousness, some numbers meander a little too much. A couple of the songs fail to establish a melody or structure and seem to just wander aimlessly. Also, “The Latest Rag” seems so out of place it actually comes across more silly than anything else, to the point you almost wonder if you’d fallen asleep and woken up in a different musical altogether. As for the production, the only thing that mars it is it’s desperately yearning to set a due course for a large West End venue. For starters, with such a rich and grandiose score, the balance of huge voices and passionate music was always going to be difficult, especially in such a tight and acoustically flat space. This is particularly noticeable in certain numbers where cast members’ diction aren’t quite there, as it’s made worse by being muffled by too loud an orchestra. A more comprehensive sound board and system would have certainly helped here. Furthermore, as inventive as Hudson is with the set when it comes to the all important sinking of the ship, whilst impressive for what has been done given the limited resources, it’s still not entirely convincing, resulting in what should be the apex of the drama being a little wet. It just begs for technologically complex and show-stopping stagecraft for it to really wow. But none of that should dissuade anyone from buying a ticket. The overall theatrics and fantastic performances left me with my heart in my throat and pulse bounding. There’s nothing quite like this on in the West End, let alone off it. With a production as lavish as the White Star Line’s flagship itself, it’s a First Class musical. 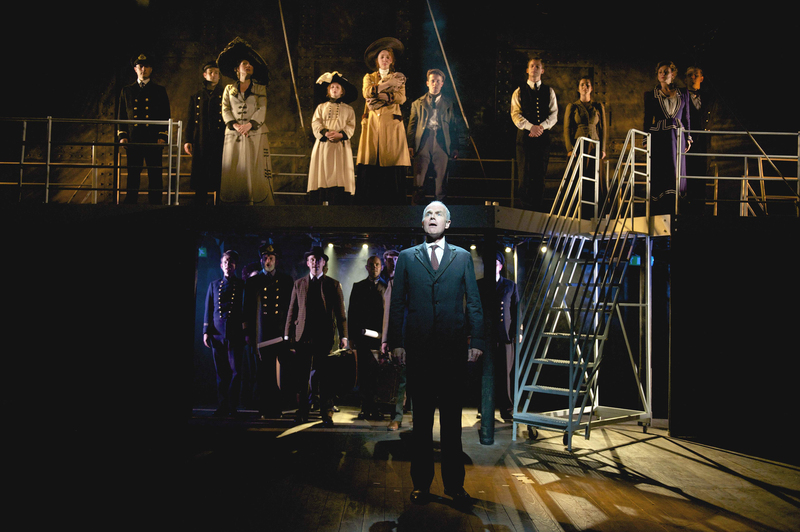 Titanic plays at the Southwark Playhouse, London, SE1 6BD, until 31 August 2013. Tickets are £22 (concessions available). To book, visit http://southwarkplayhouse.co.uk.